I know I say this every time, but I'm really excited about this week's flag. This weekend I spent a lot of time with my favorite geography quiz app, GeoQuiz (I get really obsessive about this app; it's also how I keep my mind sharp with regard to my college degree, so, you know, it's fun and educational!). I really wanted to feel inspired about this week's flag. I came across many good candidates, but then...BAM! I saw it. In all of it's gothy goodness. And I knew it had to be this week's flag. There was no question. How amazing is this flag?!?! I think we can all agree: this flag is badass. First of all: a double headed eagle. That's so awesome. So medieval. 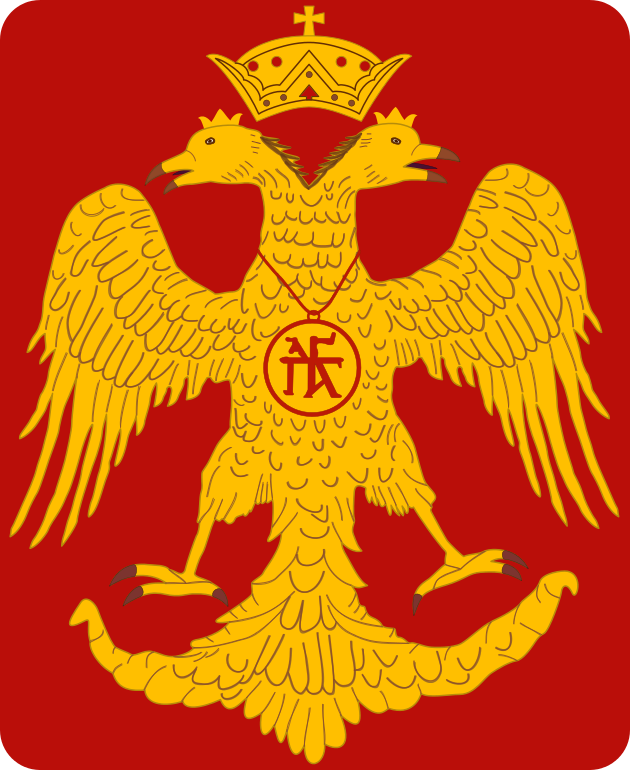 Things I learned while researching this flag include: the double-headed eagle is a really storied symbol. It is primarily remembered as the symbol of the Byzantine Empire, but it goes back farther than that, back to the Hittites, even. It was used in ancient Rome, in Turkey, and the Holy Roman Empire (which was neither Holy, Roman nor an Empire), just to name a few. I had no idea the double headed eagle was so common throughout history. I wish I could take a class just on heraldic imagery and commonly seem types of imagery in flags and other official documents through time. Does that kind of class even exist? Anyway. Back to Albania. 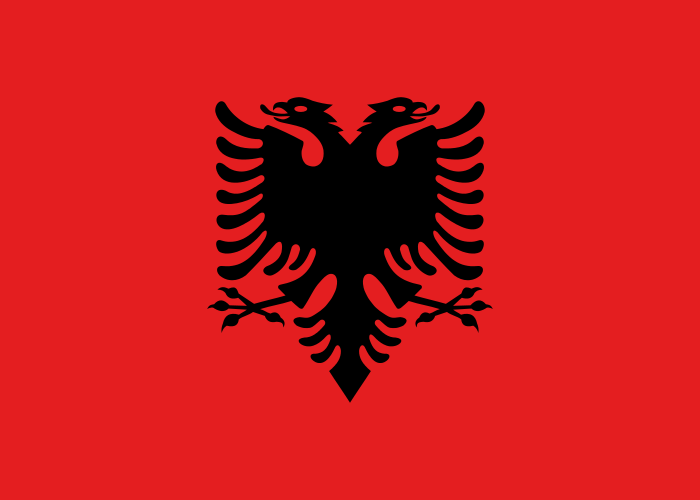 The double headed eagle was most recently re-introduced to the Albanian flag as nationalists fought for independence from the Ottoman Empire in the late 19th/early 20th century. The Albanians won their independence in 1912, at which point an earlier incarnation of this red-on-black flag was officially adopted. The red in this flag represents blood, which I think we can all agree is also really cool. I imagine what that really means is that it represents the blood spilled by the people of Albania in their various quests for freedom, which, for a country located in the Balkans, are many. This current incarnation of the flag has been around since April 7th, 1992, after the communist regime fell (the previous version had a socialist star above the eagle's head). 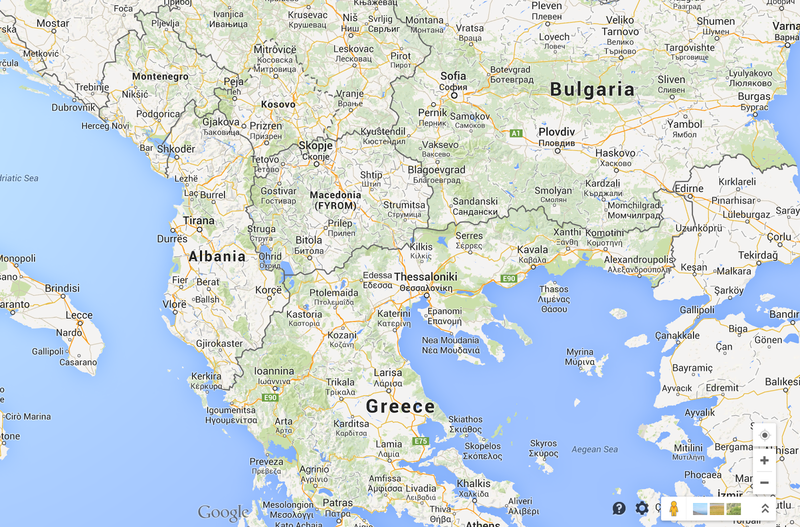 There is even an Albanian folk tale that explains the origin of the eagle (read it here).